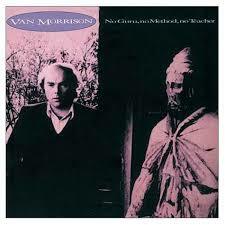 Released in 1986 and spinning in the ‘rock room’ currently is Van Morrison’s No Guru, No Method, No Teacher, an album that appeared at a time when Van and many of his contemporaries were struggling with relevance and constantly changing production values. Rock ‘n’ rollers had no map in which to guide their muse, and the era was filled with hits, misses and a search for musical identity. Morrison stayed consistent to his musical vision with No Guru, No Method, No Teacher, emerging with an earthy, soil-scented collection of organic songs. Images of rain, rolling hills, abandoned roads and thematic explorations of faith, love and art develop the foundation of No Guru, No Method, No Teacher. Critics lauded a return to form that honestly really never had left Morrison. Regardless, they were correct in appraising the record as magical and highly invested in. No Guru, No Method, No Teacher contains a misty mystery and permeating sense of regret throughout, but also an encompassing sense of redemption by the album’s conclusion. With a gracefulness that only he can conjure, Morrison doesn’t shock with vocal gymnastics, but soothes with gritty replies and whispered inquiries. The instrumentation acts as an ornate antique frame for the vivid lyrical watercolors created, while The production stays close to home — happily staying away from the artificial drums and keyboard sonics of the era. It feels warm, only adding a cavernous theater echo to Morrison’s throat on some of the tracks. The rich sylvan acoustic guitars, forest piano and breezy nature of woodwinds and strings blended with Morrison’s voice of the earth equate to, in my opinion, the most intimate record since 1974’s Veedon Fleece. No Guru, No Method, No Teacher opens on the willowy acoustic groove of ' Got to Go Back,' swaying like a baby in the arms of its mother. Morrison’s lyrical recitation is smooth and low, a call and response with the female backing vocalists. The song introduces the meditative theme of the record where the songs pour out of the grooves, flowing and rolling musical water, rushing and blending into one another. 'Oh the Warm Feeling' begins with a comforting breathy horn and transparent percussion that quietly rattles under a plush blue bass. Summer ocean sun and salty air caress the narrator, the song’s balmy ambiance soaking into the skin. The song moves quickly in spite of its slow tempo, anticipation and hopefulness driving the invisible rhythm. This track is a terribly underrated song in the Morrison catalog and one of the finest on the record. The mysterious and ethnic 'Foreign Window' follows, containing a harmonica that sounds suspiciously like one Mr. Dylan. While not credited to Bob Dylan on the record, this possibility makes sense as Dylan and Morrison would perform breathtaking acoustic versions of this song and “One Irish Rover” for a Van Morrison documentary.The song moves with the scent of lilac, developed with the imagery of a thousand classic memories that come into focus when a fleeting glimpse is caught of a foreign window framed above the suffering street below. Big imposing horns invest the song with a hopefulness that cuts through the enigmatic instrumentation. The next track, 'A Town Called Paradise' skips on a stilted drum beat and hill climbing bass guitar. Containing the verdant mystery of Morrison’s best work, the song elicits a pastoral escape from the trappings of wise guys, thieves and crookedness of the world. Hearty saxophone and doo wop backing vocals drive the dynamic groove that rolls, gaining momentum, hiding around corners and curves, appearing at the crest of a ridge, increasing speed. 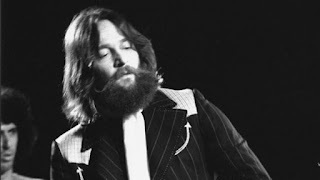 The song is the first of the record where Morrison gets gritty, his voice rising with the music, his words appearing from behind a smoky veil. The first side of the album concludes with a vintage Morrison concert standard, and arguably the crowning achievement of the recording. 'In the Garden' begins with precipitous piano, appearing through the mild steam after a summer afternoon rain. This song is one of Morrison’s finest moments, and possibly his greatest composition of the 1980s. The deep tincture of religion, love and companionship blends with the essential and sensual appraisal of nature through Morrison’s reading. Morrison runs the vocal gamut, his voice ranging from holy hollers to revealing whispers that pull you in close. The title of No Guru, No Method, No Teacher is drawn from the lyrical content of this epic track, as well. Morrison has said it’s his statement of purpose, as he subscribes to no particular method in his thinking or his faith. The second side of the album begins with 'Tir Na Nog,' a track that shares a similarity through natural imagery with the side one closer. The concluding narrative of side one and beginning tale of side two make this record essential listening. 'Tir Na Nog' brings to the surface deeper elements of reincarnation, spirituality and destiny. The instrumental journey is round as a wagon wheel and braided like aged vines, a Celtic mantra in which Morrison’s individualistic phrasing is weaved. Detailed strings reflect Morrison’s voice, slicing through the humid instrumentation with dexterity and clean lines. 'Here Comes the Knight' is the token soul number of the recording, as Morrison digs in with Renaissance hyperbole around a straight 4/4 drum beat. The most straight-forward song of the album, “Knight” features an arrangement that allows Morrison to just sing it. It’s yet another Van Morrison song that a listener can put on the turntable and completely control the vibe and ambiance of a room with. 'Thanks for the Information' is kinetically electric when contrasted with the previous compositions on No Guru, No Method, No Teacher. The song is a bluesy strut, based around stabbing red-warning siren guitars, a sly and sarcastic commentary on self improvement, self confidence and the ongoing battles with other people as well as yourself. 'Information' is powered by slick horns that butter up the gritty rhythm track and glorious gospel chorus lines. 'One Irish Rover' plays as an aged folk ballad regardless of its electric keyboard opening, and acts as a poignant anthem for Morrison and his history. Containing one of his most endearing melodies, the song plays like a self-penned testament to Morrison’s history as a tale teller. The song is one of the better known and appreciated tracks off of this album, and a song that has become inseparable from its author. A delicate china-cup acoustic holds the fragile vocal lines in a bed of cotton, safe and warm. The song would have been a fitting closer for No Guru, No Method, No Teacher, but Morrison must have wanted to exit on a rocking note. 'Ivory Tower' was one of this album’s singles, charting just outside the Top 20 and concluding the collection on a rock ‘n’ roll note. 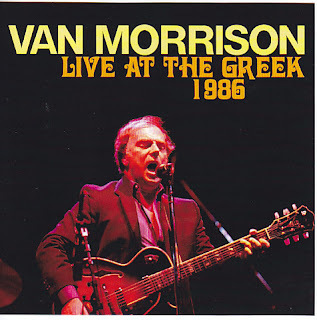 The song sits in contrast to the previous songs, being less about meditation and contemplation and more about the realities Morrison faces in his life. Lyrically, Morrison is asking for a realization about how real life issues conflict with the aforementioned spiritual themes of the record. Typically amazing vocals and restrained but rocking instrumentation close out the collection. No Guru, No Method, No Teacher arrived in an era where music sometimes took a backseat to the flashiness and neon sensibilities. 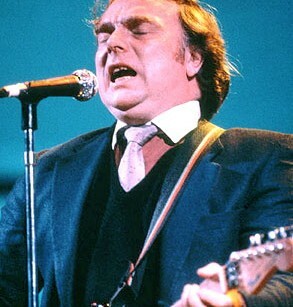 Van Morrison, however, has always stayed on course with his artistic direction. With this record, he created one of his most long-lasting pieces of work. The introspective themes combined with a subjective analysis equate to a project that not only expands on Morrison’s own thoughts and dreams but exposes themes that the listener can easily relate to and meditate on. Considering this album in the context of a discography as extensive and varied as Morrison’s is a tall order. In my opinion, the record can nestle comfortably in any era of Morrison’s artistic output whether it be the 1960s or the first decades of the new millennium.